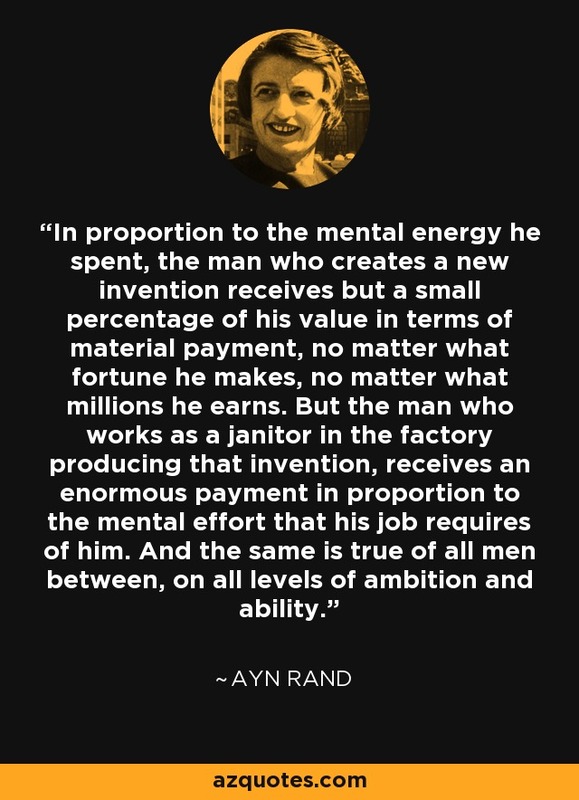 In proportion to the mental energy he spent, the man who creates a new invention receives but a small percentage of his value in terms of material payment, no matter what fortune he makes, no matter what millions he earns. But the man who works as a janitor in the factory producing that invention, receives an enormous payment in proportion to the mental effort that his job requires of him. And the same is true of all men between, on all levels of ambition and ability.